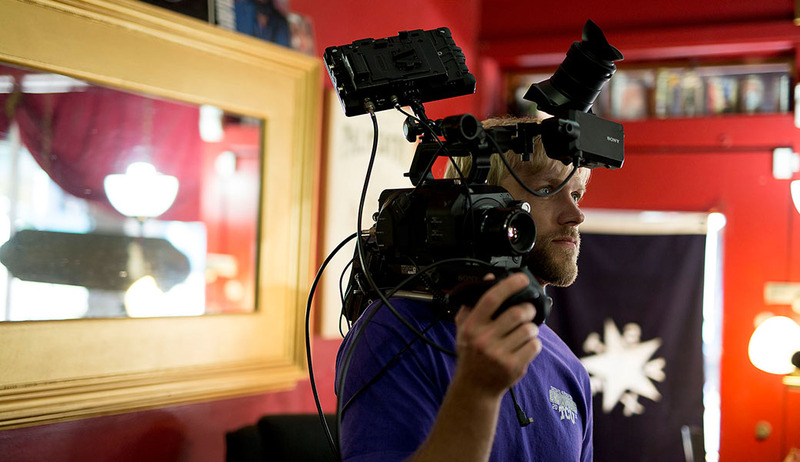 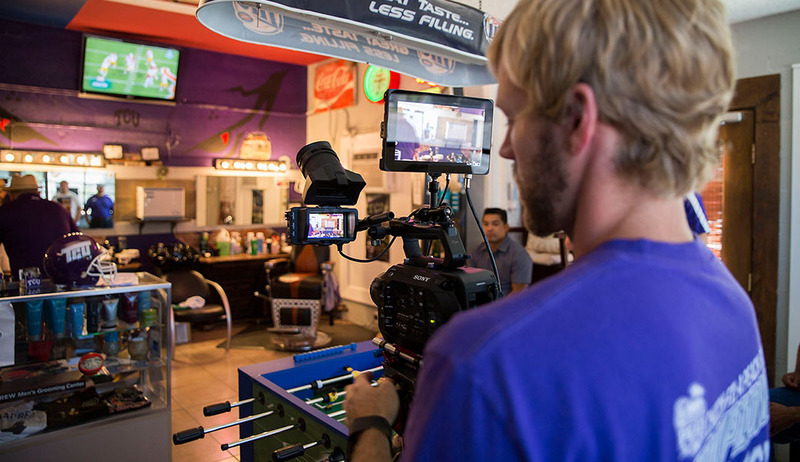 It’s all about the details and that was the story for the 2015 Riff Ram Video. 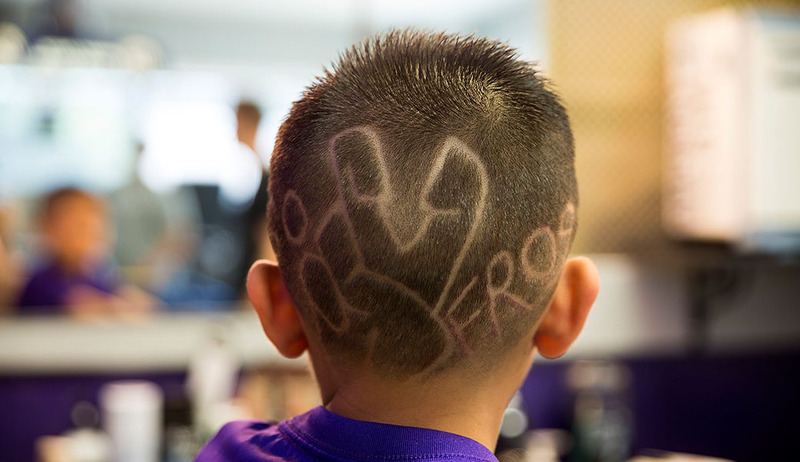 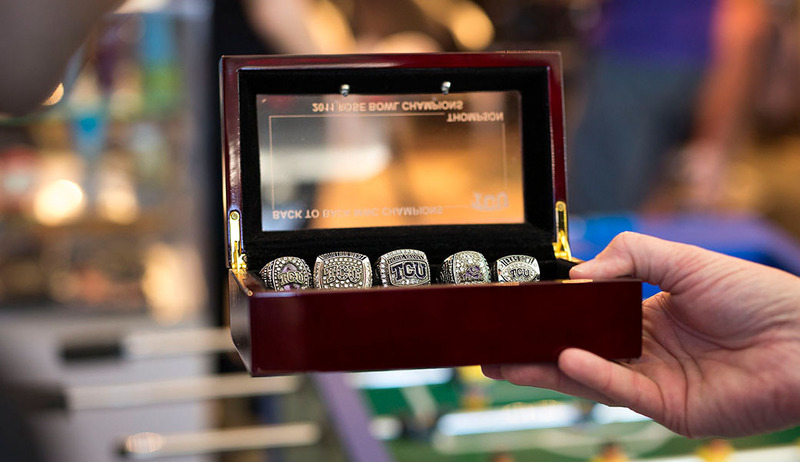 Our team embraced the opportunity to make this in-game tradition something special for the Horned Frog faithful. 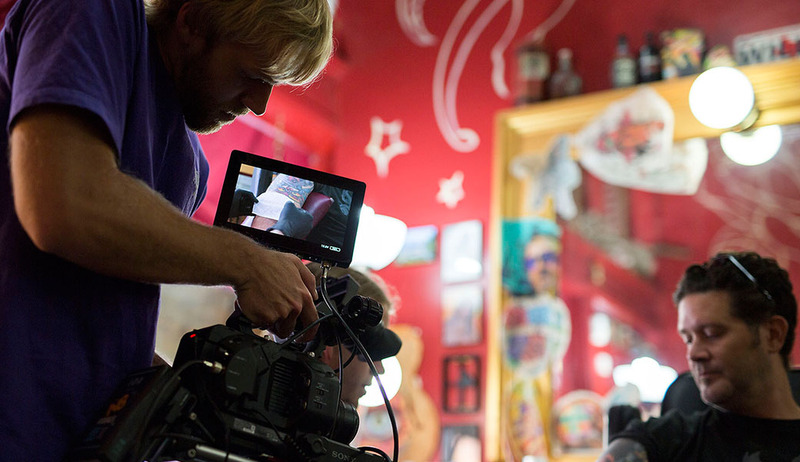 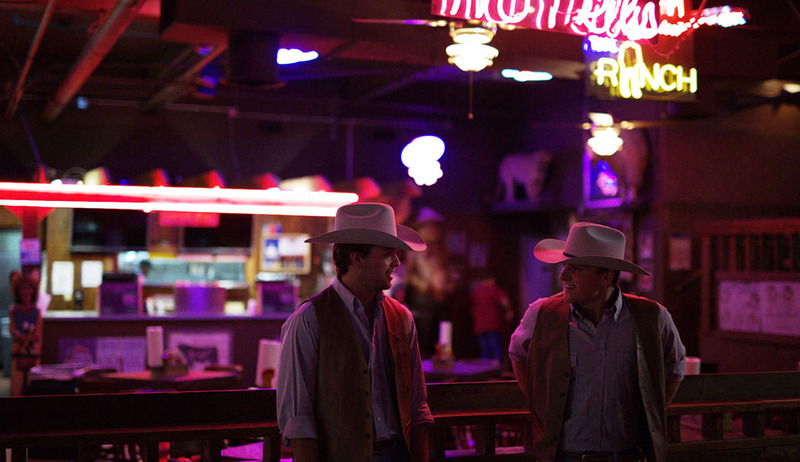 Each scene was curated with new and old memorabilia and a few custom creations to make each viewing a new experience. 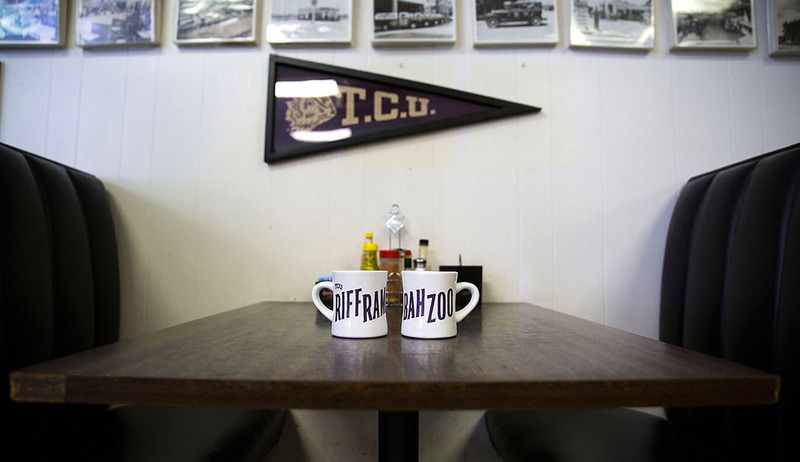 We designed t-shirts, coffee mugs, pennants, digital downloads, wall murals, an 80’s workout video and even commissioned a painted SuperFrog portrait. 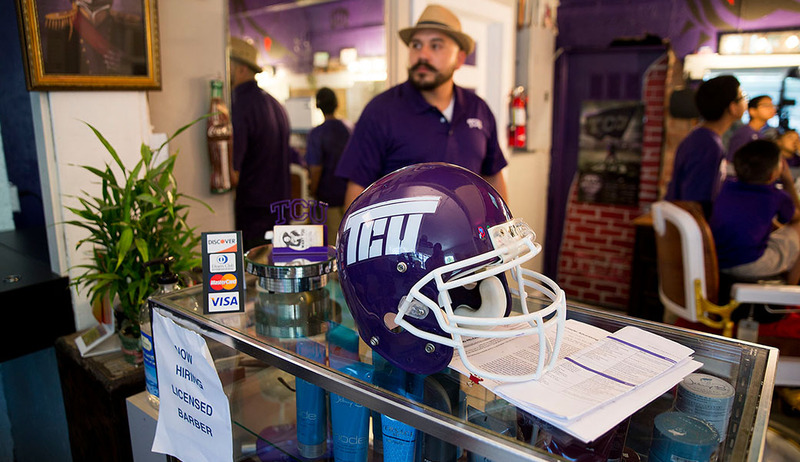 We vandalized, trespassed and 2-stepped our way through a coffee shop, practice field, barber shop and tattoo parlor over 3 days of shooting. 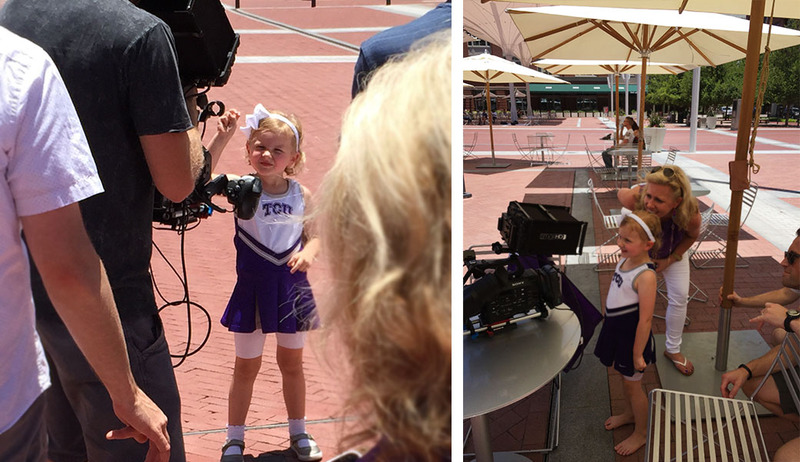 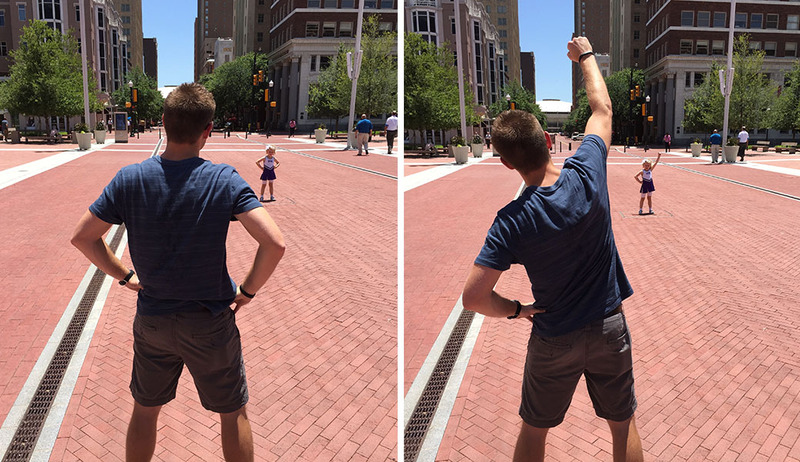 We directed a Heisman hopeful, a former chancellor and a 5-year old cheerleader. 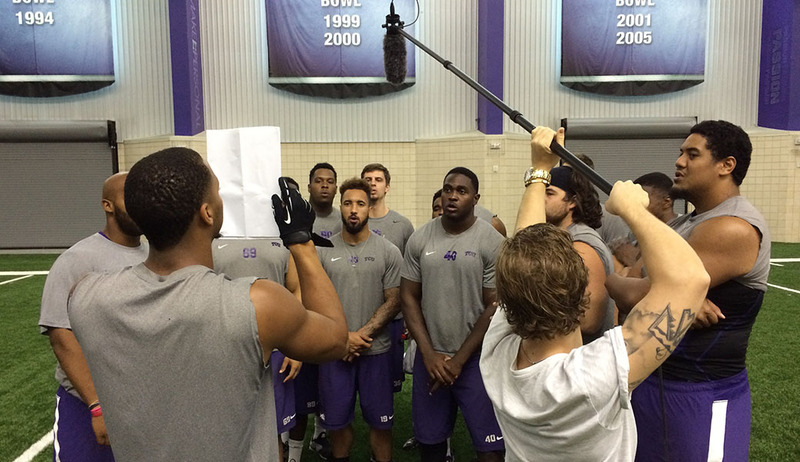 We pulled it all off with a chorus of football players, a retro workout video and Renaissance painting of Super Frog. 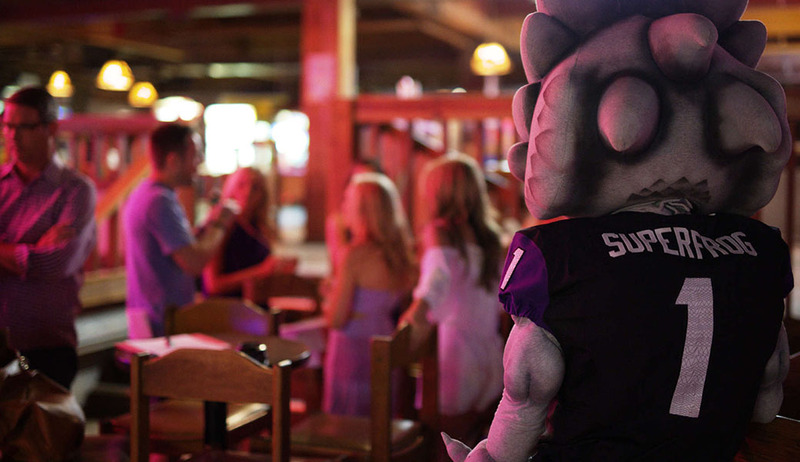 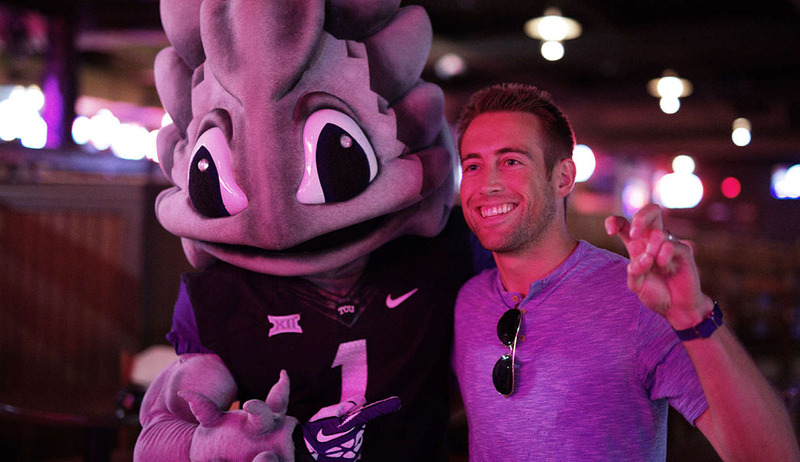 Enjoy this behind the scenes look at how Schaefer reinvented TCU’s classic tradition for the 2015 football season.